With our hectic lives, we often end up feeling too stressed. Mental or physical burnout begins and it all goes downhill from there. But reiki has been known to deal with that. It is a Japanese technique for reducing stress. Savita, at MGF Metropolitan Mall, is a long-time practitioner of reiki and is the go-to person for when you feel a burnout approaching. Savita, who practices at MGF Metropolitan Mall, is a lady who believes in spiritual healing through reiki. 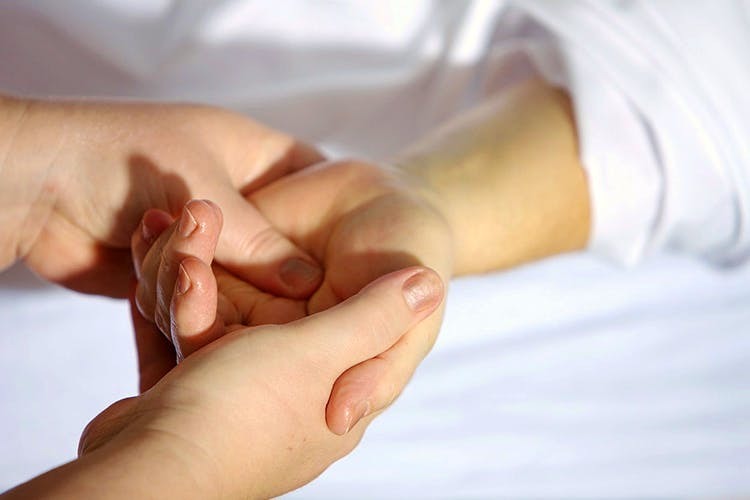 Reiki is a Japanese technique that uses palm healing to reduce your stress level. However, that’s not all that Savita does. She also is an excellent tarot reader and also does palmistry. Her idea is to connect with the spiritual self with healing. For palmistry and tarot readings, she charges just INR 500! For reiki, she takes a little over INR 1,000. Make sure you take an appointment with her on +91 9818730597. One does feel stressed given our hectic work schedules but give getting in touch with your spiritual self a chance with Savita at MGF Metropolitan Mall.